Chrysler PT Cruiser Parts are in high demand due to the popularity of the vehicle in market. 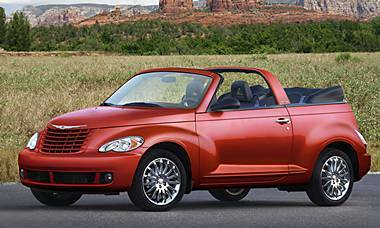 Even though the PT Cruiser has being manufactured by Chrysler LLC since few years now, it's still beloved by its owners. The instant a part needs replaced, they don't want to wait around for it to be repaired. As an auto repair shop owner, you know how important it is to keep your customers happy and having a place to quickly find Chrysler PT Cruiser parts is essential to your success. If you make the repairs yourself, then you also know the value of finding the right part as fast as possible. With UNeedAPart.com's huge network of parts suppliers and dealers, we take the frustration and guesswork out of finding quality new and used PT Cruiser Parts Accessories. When you locate a part through UNeedAPart.com, you're actually accessing the inventory of over 7,000 supply shops. Where else can you get that type of selection? All you need to do is enter in the required information and you will be provided a list of parts suppliers who currently have the required Chrysler PT Cruiser accessories in stock. And we're not talking just about floormats and steering wheels here, we're talking about parts as large as Chrysler PT Cruiser motors, Chrysler PT Cruiser transmissions and Chrysler PT Cruiser fenders! It doesn't matter which Chrysler PT Cruiser parts you need, UNeedAPart.com can locate it for you quickly, easily and best of all, for free!